Stephen Healy is a Senior Research Fellow at ICS. His research has concentrated on the relationship between economy, subjectivity and the enactment of new econo-socialities exploring various topics: health care reform policy, cooperative and regional development, and the solidarity economy movement. In each instance his abiding concern has been to apply insights from Marxian and psychoanalytic theory to understand the desires, fantasies and anxieties that compose the restive human subject. His current ARC project, with CIs Katherine Gibson, and Jenny Cameron, Reconfiguring the Enterprise: Shifting Manufacturing Culture in Australia (DP160101674) is a case study driven approach to reimagining the future of manufacturing in Australia. He is co-author of Take back the economy: an ethical guide for transforming our communities (UMP 2013), presently translated into Korean, Spanish and Finnish with planned translations into Greek and French. 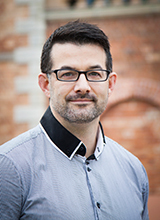 Stephen has been published in Gender, Place and Culture, Professional Geographer, New Zealand Geographer, Journal of Political Ecology and Rethinking Marxism and elsewhere in addition to contributing to numerous edited volumes. Stephen is a founding member of the Community Economies Research Network (opens in a new window)(CERN). Principal Investigator: Kelly Dombroski and Gradon Diprose. McKinnon, K, Healy, S & Dombroski, K 2019, 'Surviving well together: postdevelopment, maternity care and the politics of ontological pluralism' in E Klein & CE Morreo (eds), Postdevelopment in practice: alternatives, economies, ontologies, 1st Edition (opens in a new window), Routledge, London, pp. 190-203. Dombroski, K, Healy, S & McKinnon, K 2018, ‘A postcapitalist politics of care’, in C Bauhardt & W Harcourt (eds), Feminist political ecology and the economics of care: in search of economic alternatives (opens in a new window), Routledge, London, pp. 99-116. Healy, S 2016, 'Cooperation and commoning to secure other futures', Restructure: on alternative modes of culture and knowledge production in times of shrinking public support (opens in a new window), Unlikely Publishing, Melbourne, pp. 7-27. Gibson-Graham, JK, Cameron, J & Healy, S 2015, 'Pursuing happiness: the politics of surviving well together', in D Pike, C Nelson & G Ledvinka (eds), On happiness: new ideas for the twenty-first century (opens in a new window) , University of Western Australia Press, Perth. Healy, S with Bergeron, S 2015, 'Beyond the "business case": a community economies approach to gender, development and social economy', in P Utting (ed. ), Social and solidarity economy: beyond the fringe? (opens in a new window), Zed Books, London. Healy, S 2015, ' Biofuels, ex-felons, and Empower, a worker-owned cooperative: performing enterprises differently ', in G Roelvink, K St Martin & JK Gibson-Graham (eds), Making other worlds possible: performing diverse economies (opens in a new window), University of Minnesota Press, Minneapolis, pp. 98-127 . Healy, S 2014, 'Psychoanalysis and the geography of the Anthropocene: fantasy, oil addiction and the politics of global warming', in P Kingsbury & S Pile (eds), Psychoanalytic geographies, Ashgate Publishing, pp. 181-196. Healy, S 2009, 'Alternative economies', in N Thrift & R Kitchin (eds), The international encyclopedia of human geography, Elsevier, Oxford, pp. 338-344 . Healy, S 2008, 'Beyond Reform vs. Revolution', in J Allard, C Davidson & J Matthaei (eds), Solidarity economy: building alternatives for people and planet , Changemaker Publications, Chicago, pp. 106-108,113-114, 116-117 . Healy, S, Cornwell, J, White, T & Werner, K 2008, 'Building community economies any time any place', in J Allard, C Davidson & J Matthaei (eds), Solidarity economy: building alternatives for people and planet, Changemaker Publications, Chicago, pp. 124-54 . Healy, S, Kawano, E, Korten, D, Matthaei, J, Medhanie, G & Swinney, D 2008, 'Beyond reform vs. revolution: economic transformation in the U.S., in J Allard, C Davidson & J Matthaei (eds), Solidarity economy: building economic alternatives , Changemaker Publications, Chicago, pp. 100-123. Healy, S & Graham, J 2008, 'Building community economies: a postcapitalist project of sustainable development', in D Ruccio & S Cullenberg (eds), Economic representations: academic and everyday, Routledge, New York, pp. 291-314 . Gibson-Graham JK, Cameron, J, Healy, S & McNeill, J 2019, ‘Roepke lecture in economic geography—economic geography, manufacturing and ethical action in the Anthropocene’ (opens in a new window), Economic Geography, vol. 95, no. 1, pp. 1-21. Gibson-Graham, JK, Cameron, J, Healy, S & McNeill, J 2019, 'Economic geography and ethical action in the Anthropocene: a rejoinder' (opens in a new window), Economic Geography, vol. 95, no. 1, pp. 27-29. Healy, S, Borowiak, C, Pavlovskaya, M & Safri, M 2018, 'Commoning and the politics of solidarity: transformational responses to poverty' (opens in a new window), Geoforum, doi.org/10.1016/j.geoforum.2018.03.015. Healy, S 2018, ‘Basic Income and postcapitalist imaginaries: from surplus humanity to humanity’s surplus’, Arena Journal, no. 51/52, pp. 130-152. Healy, S 2018, ‘Commoning in the city: discerning a post-capitalist politics now and here’ (opens in a new window)(review essay on A Huron (ed.) 2018 Carving out the commons), Environment and Planning A.
Gibson-Graham, JK, Cameron, J & Healy, S 2018, ‘La construction du commun comme politique post-capitaliste’ (translated by P De Roo & A Querrien), Multitudes, vol. 1, no, 70, pp. 82–91. Healy S 2018, 'Corporate enterprise as commonwealth' (opens in a new window), Journal of Law and Society, vol. 45, no. 1, pp. 46-63. Borowiak C, Safri, M, Healy, S & Pavlovskaya, M 2018, 'Navigating the fault lines: race and class in Philadelphia’s solidarity economy' (opens in a new window), Antipode, vol. 50, no. 3, pp. 577-603. Safri, M, Borowiak, C, Healy, S & Pavolvskaya, M 2017, 'Putting solidarity economy on the map' (opens in a new window), The Journal of Design Strategies, vol. 9, no. 1, pp. 71-83. Diprose, G, Dombroski, K, Healy, S & Waitoa, J 2017, 'Community economies: responding to questions of scale, agency, and Indigenous connections in Aotearoa New Zealand' (opens in a new window), invited commentary for Counterfutures, no. 4, pp. 167-183. Zanoni, P, Contu, A, Healy, S & Mir, R 2017, 'Post-capitalistic politics in the making: the imaginary and praxis of alternative economies' (opens in a new window), Organization. Hart, G, Healy, S, Lake, RW, Shaw Crane, E & Roy, A 2017, 'Book review symposium: Ananya Roy & Emma Shaw Crane (eds), Territories of poverty: rethinking north and south' (opens in a new window), Progress in Human Geography, vol. 41, no. 3, pp. 395-402. Dombroski, K, Mckinnon, K & Healy, S 2016, 'Beyond the birth wars: diverse assemblages of care' (opens in a new window), New Zealand Geographer, DOI:10.1111/nzg.12142. Healy, S 2016, 'Saint Francis in climate-changing times: form of life, the highest poverty, and postcapitalist politics' (opens in a new window), Rethinking Marxism, Special Issue: Marxism and Spirituality, vol. 28, no. 3-4, pp. 367-384. Dombroski, K, Mckinnon, K & Healy, S 2016, 'Beyond the birth wars: diverse assemblages of care' (opens in a new window), New Zealand Geographer, DOI: 10.1111/nzg.12142. Healy, S 2015, 'Communism as a mode of life' (opens in a new window), Rethinking Marxism (opens in a new window), vol. 27, no. 3, pp. 343-356. Healy, S 2015, 'Parody, the party, politics, and postcapitalism: some thoughts on a shared future' (opens in a new window), Rethinking Marxism (opens in a new window), vol. 27, no. 3, pp. 385-395. Healy, S 2014, 'The biopolitics of community economies in the era of the Anthropocene', Journal of Political Ecology, vol. 21, pp. 210-221. Healy, S 2014, 'Book Review Symposium: James C Scott, Two cheers for anarchism: six easy pieces on autonomy, dignity, and meaningful work and play' (opens in a new window), Antipode: A Radical Journal of Geography. Healy, S 2011, 'Cooperation, surplus appropriation, and the law's enjoyment', Rethinking Marxism, vol. 23, no. 3, pp. 364-370. Healy, S 2010, 'Traversing fantasies, activating desires: economic geography, activist research and psychoanalytic methodology', Professional Geographer, vol. 62, no. 4, pp. 496-506. Healy, S 2008, 'Caring for ethics and the politics of health care reform', Gender, Place and Culture, vol. 15, no. 3, pp. 267-284. Healy, S 2008, 'Review of Real cities: modernity, space and the phantasmagorias of city life by Stephen Pile', Journal of Social and Cultural Geography, vol. 9, no. 3, pp. 343-351. Byrne, K & Healy, S 2006, 'Co-operative subjects: towards a post-fantasmatic enjoyment of the economy', Rethinking Marxism, vol. 18, no. 2, pp. 241-258. Graham, J, Healy, S & Byrne, K 2002, 'Constructing the community economy: civic professionalism and the politics of sustainable regions', Journal of Appalachian Studies, vol. 8, no. 1, pp. 50-61. Community Economies Collective (one of two principal authors) 2001, 'Imagining and enacting noncapitalist futures', Socialist Review, vol. 28, no. 3&4, pp. 93-135. Healy, S 2017, 'Why the ecocity needs to be a just city' (opens in a new window), The Conversation. Salazar, J & Healy, S 2015, 'We're all The Walking Dead, we just don't know it yet' (opens in a new window), The Conversation. Healy, S & Shear, B 2013, 'Warm Bodies: zom-rom solidarity econ' (opens in a new window), Truthout. Healy, S & Shear, B 2012, 'The progressive struggle to save capitalism' (opens in a new window), Truthout. Healy, S & Shear, B 2011, 'Occupy Wall Street: a gift for the economy' (opens in a new window), Truthout. 'The US Solidarity Economy: Post-politics or Politics in Place? ', LITE House Talks Series, MacQuarie University, 3 November 3 2016. 'Politics or Post-politics: Positioning the US Solidarity Economy', Erskine lecture, Department of Geography, University of Canterbury, Christchurch, New Zealand, 12 October 2016. 'Arts and community in uncertain times: cooperation and commoning to secure other futures', keynote address, ReStructure Conference, Latrobe University, Melbourne, 20 November 2014. 'From solidarity economy to social innovation: diverse economies research in the era of the Anthropocene', Seminar Series on Political Economy, University of Sydney, Sydney, 30 October 2014. 'Social innovations: surviving well together in a changing climate', keynote address, Everybody profit! Today We Make the Economy of the Future, University of Hasselt, Hasselt, Belgium, 25 April 2014. 'Communism as a mode of life', keynote address, Rethinking Marxism's 8th International Gala Conference, 'Surplus, Solidarity, Sufficiency', University of Massachusetts Amherst, Amherst, Massachusetts , September 2013. 'Is postcapitalist organization and management possible? Some answers to matters of concern' (with Marta Calla), Capitalism in Question, All Academy Theme, Association of Management Annual Conference, Orlando, Florida, August 2013. 'From postcapitalist politics to militant hybrid collective: the case of the Community Economies Collective', Masters Class in Economic Anthropology, University of Massachusetts, Amherst, Massachusetts, March 2013. 'Cultivating postcapitalist habits: the ethics of metrology', keynote address, Society for Applied Anthropology Conference, 'Bays, Boundaries and Borders', Central Sheraton, Baltimore, Maryland, March 2012. 'Diverse economic geographies: the Community Economies Collective', panel session participant, Antipodean Economic Geographies Symposium, State Library of New South Wales, Sydney, December 2011. 'Science, hysteria and the politics of jouissance: the promise of psychoanalysis and actor network theory', Association of American Geographers Annual Meeting, Seattle, Washington, April 2011. 'Research on the solidarity economy', US Social Forum, Detroit, Michigan, June 2010. 'Community driven development: a training of trainers', US Social Forum, Detroit, Michigan, June 2010. 'Desiring alternative economies', Anthropology Graduate Student Colloquium, University of Massachusetts, Amherst, Massachusetts , April 2009. 'Ethics in search of a market: worker cooperatives, subjectivation and market creation', Association of American Geographers Annual Meeting, Las Vegas, Nevada, March 2009. 'Caring for ethics and the politics of health care reform', Association of American Geographers Annual Meeting, Chicago, Illinois, March 2006. 'Deliver Us From Harmful Anxiety: Community Economy, Commons and the Logic of Maternity Care', Association of American Geographers Annual Meeting, Boston, MA, April 2017. 'Care and Common Concern', 2016 Crossroads in Cultural Studies Conference, University of Sydney, December 2016. 'Community Economies and Commons', Social Movements, Resistance and Social Change Conference, Victoria University of Wellington, New Zealand, September 2016. 'Logic of Care: Co-production and the Community Economy of Maternity Care', Institute of Australian Geographers Conference, Adelaide, June 2016. Discussant, Territories of Poverty, Ananya Roy and Emma Shaw Crane (eds), Association of American Geographers Annual Meeting, San Francisco, CA, March/April 2016. 'Worcester, MA: Solidarity Economies and Social Justice, Practices of Inclusion and Gratuitous Exchange', Association of American Geographers Annual Meeting, San Francisco, CA, March/April 2016. 'Solidarity economy: finding the meaning and significance in small numbers', Association of American Geographers Annual Meeting, Chicago, IL, April 2015. 'Learning to live with hyperobjects: climate, the unconscious and reparative engagements', Knowledge/Culture/Economy Conference, Institute for Culture and Society, University of Western Sydney, Sydney, November 2014. 'Cities and relational economies: from sharing to solidarity', Living in the City Seminar Series, organised by the Cities and Economies Research Theme (ICS) and the Urban Research Centre, University of Western Sydney, September 2014. 'Dwelling in the shadow a changing climate: embodied learning, new habits and the highest poverty', Institute of Australian Geographers, Melbourne, July 2014. 'Surviving well: shame, anxiety and the place of collective action', Association of American Geographers Annual Meeting, Tampa, FL, April 2014. 'Organizing community economies: activist research and solidarity economy in New England', Nestval Conference, Clark University, Worcester, MA, October 2013. 'Beyond the "business case": a community economies approach to gender, development and social economy' (with Suzanne Bergeron), Potential and Limits of the Social and Solidarity Economy, cosponsored by UNrisd and ILO, Geneva, Switzerland, May 2013. 'Diverse economies, community economies: from an ethics of difference to a biopolitics of living in community', Stranger Economies Conference, organised by Rethinking Marxism, University of Washington, Seattle, WA, November 2012. 'Mapping the solidarity economy with an ethical compass' (with Maliha Safri). Association of American Geographers Annual Meeting, New York, NY, February 2012. 'Take back the economy: ethical re-occupation of the economic imaginary', Left Forum, 'Occupying the System, Confronting Global Capitalism', Pace University, New York, NY, March 2012. 'Roundtable: discourses of the alternative economy', Historical Materialism Conference, New School for Social Research, New York, NY, May 2011. 'Ecstatic pedagogy, inside the classroom and out', Left Forum 2011, 'Towards A Politics of Solidarity', Pace University, New York, NY, March 2011. (Session organiser and chair). 'Cooperatives, place production and political transformation', Association of American Geographers Annual Meeting, Washington D.C., April 2010. (Session organiser). 'Cooperative, class, and value theory', Left Forum 2010, 'The Center Cannot Hold: Rekindling the Radical Imagination', Pace University, New York, NY, March 2010. 'Pedagogies for community economies', Rethinking Marxism's 7th International Gala Conference, 'New Marxian Times', University of Massachusetts Amherst, Amherst, MA, November 2009. 'Subjectivity, subjectivation, and communism', Rethinking Marxism's 7th International Gala Conference, 'New Marxian Times', University of Massachusetts Amherst, Amherst, MA, November 2009. 'Imagineering green economies', Rethinking Marxism's 7th International Gala Conference, 'New Marxian Times', University of Massachusetts Amherst, Amherst, MA, November 2009. 'Green jobs / green recovery and the community economy', International Solidarity Economy Forum, University of Massachusetts, Amherst, MA, March 2009. 'Reframing economy: towards a new sustainable politics of enjoyment', Occasional Faculty Lecture Series, Physical and Earth Sciences Department, Worcester State University, Worcester, MA, December 2008. 'Marxism and psychoanalysis: the indeterminate subject of communism', Rethinking Marxism 20th Anniversary Conference, University of Massachusetts Amherst, Amherst, MA, September 2008. 'Denaturalizing the economy: resubjectivation in the classroom and community', Association of American Geographers Annual Meeting, Boston, MA, April 2008. 'On the economy of non-all and the politics of health care reform', Marxist Literary Group Conference, Chicago, IL, June 2007. 'Reading and listening for law: sexuation, discourse analysis and qualitative research', Association of American Geographers Annual Meeting, San Francisco, CA, April 2007. 'Health care reform and the ethics of non-all', Rethinking Marxism's 6th International Gala Conference, 'Rethinking Marxism 2006', University of Massachusetts Amherst, Amherst, MA, October 2006. 'Between affect and ethics: informal caregivers and the implications for health care reform', Critical Geographies Conference, Miami University, Oxford, OH, October 2005. 'Health care reform as the construction of a commons', Geosciences Professional Seminar, University of Massachusetts Amherst, Amherst, MA, April 2005. 'Subjects of the medical commons and the privatization of psychic life', Association of American Geographers Annual Meeting, Denver, CO, April 2005. 'Health care in the community economy: going beyond the health care "Reform" debate', Association for Economic and Social Analysis Occasional Lecture Series with Rethinking Marxism, University of Massachusetts Amherst, Amherst, MA, March 2005.